The Valletta 2018 Foundation will be exploring the legacy of the European Capital of Culture title through a seminar discussing the initial findings of its Evaluation and Monitoring research. provide practical examples of the effects of the ECoC in other cities. The seminar will be addressed by a number of individual researchers and public entities carrying out qualitative and quantitative research across a number of sectors. Also addressing the conference will be Rolf Norås, who led Stavanger’s successful bid to host Norway’s European Capital of Culture title in 2008 and author of “What Would You Do Differently if You Knew What You Now Know: An investigation into 12 former European Capitals of Culture”. The seminar will be held at the ICT Faculty Auditorium at the University of Malta. 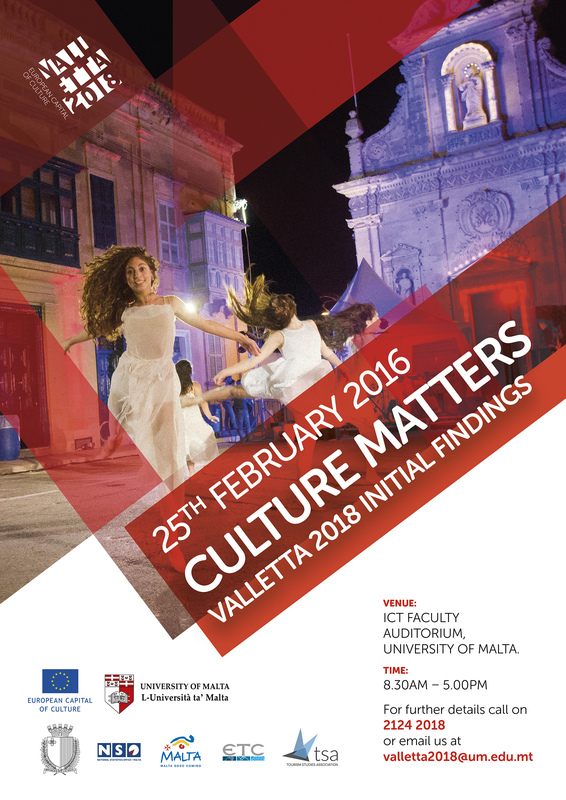 For further details please email the Valletta 2018 Foundation at [email protected] or [email protected].